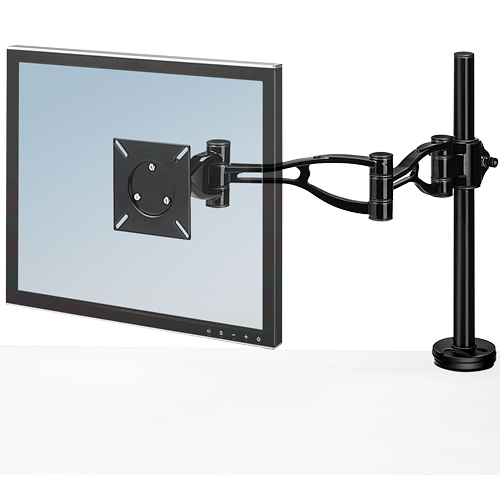 The Fellowes Adjustable Single Monitor Arm is fully adjustable for optimum viewing control. 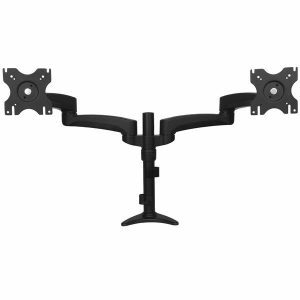 Easy to mount, its clamp attaches to desktops 1-3” thick or through grommet holes at least 3-1/4” in diameter. 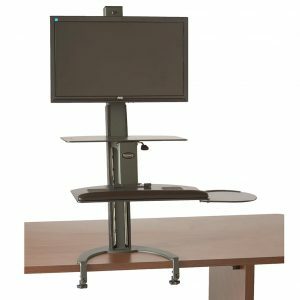 The Fellowes Adjustable Single Monitor Arm elevates monitors from 3-1/2” to 16-1/2” above the desk with a reach of 2-1/2”-27”. 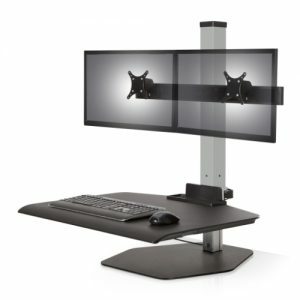  Tilt up or down and freely swing left or right (360° rotation capability). 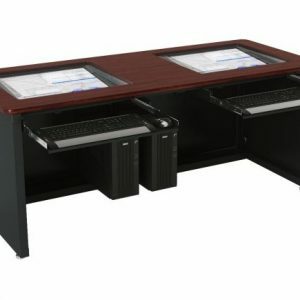 Holds flat panel monitors up to 24 lbs.